Google has pulled off a coup by hiring an Apple senior director of product integrity for a secret project. The recruiting feat is historic since Google has never hired such a senior person away from Apple. The hiring is also interesting because the US department of justice is investigating Google and Apple for allegedly working out a “no-poach” agreement where the companies — along with Pixar, Lucasfilm, Intel and Intuit — allegedly conspired to suppress employee compensation by not poaching each other’s employees. 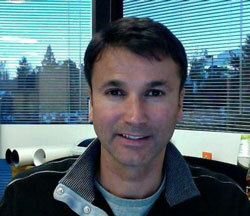 Simon Prakash worked at Apple for more than eight years and was most recently the senior director of product integrity at Apple, according to his LinkedIn page. That means he was responsible for product quality across all of Apple’s products, from iPhones to Macs. Apple has the best reputation for product quality, according to consumer satisfaction surveys by JD Power. Now he’ll be working for Google on a secret project, presumably run by Google co-founder Sergey Brin, who is in charge of a variety of secret research and development projects at Google. The company recently acquired Motorola Mobility, and it has a wide variety of hardware projects under way that Prakash might be working on. Prakash started at Apple more than eight years ago as a senior reliability manager. Before that, he was director of engineering design validation at Cielo Communications. He was also a reliability and FA manager at 3Com. Prakash is scheduled to begin work this week. Next Article IT Leaders Africa Summit: have you registered?